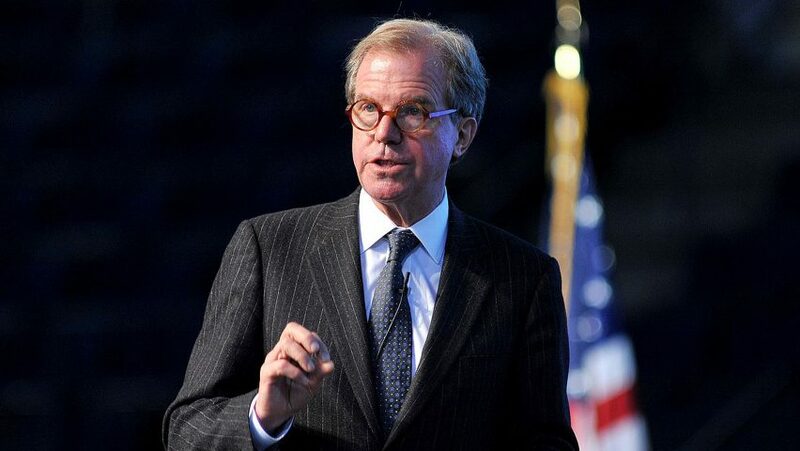 Biotechnology is going to "govern the next decade of thought" at research institutions like the MIT Media Lab, says its founder Nicholas Negroponte. Credited as the first to predict the impact of the digital age, Negroponte used his opening speech at the Massachusetts Institute of Technology (MIT)'s Being Material symposium last week to lay out his forecast for the next stage in technological advancement. "Biotech is the new digital," he proclaimed. "That world is coming together." Negroponte attributed Nobel Prize-winning physicist Richard Feynman's research in nanotechnology – first presented in 1959 – as the trigger for developments in this field, which are now beginning to affect the way we live. The use of living systems and organisms to make or develop products has increased dramatically in recent years. Clothing created by bacteria, buildings powered by algae and engineered glow-in-the-dark plants are just a few examples. Negroponte believes we've now reached a stage when the natural and the artificial have blended. "I grew up with the working assumption that – I'll use an old-fashioned, politically incorrect term – the 'manmade' world, and the natural world, were orthogonal," said Negroponte. "From this point on, they're the same. They're not different." Recent developments in this field include advances in synthetic biology, with scientists like Tal Danino – who also presented at the symposium – now able to alter the genetic code of bacteria to fight diseases like cancer. "Suddenly, we can actually not just be informed by nature, we can actually do things – in some cases – better than nature," he continued. "There are so many ramifications." "That's, in my opinion, what's going to govern the next decade of thought at places like the Media Lab and at places like MIT," he concluded. The Greek-American, who initially trained as an architect, founded the Media Lab in 1980 with former MIT president Jerome Wiesner. It has since become a pioneering centre for testing applications of advanced materials, with its various labs working on everything from "bio-skin" fabric that peels back in reaction to sweat and humidity, to inflatables that fold themselves from flat sheets into complex origami. Negroponte published his book Being Digital in 1995, in which he predicted that digital media would evolve to be part of our everyday lives. "Computing is not about computers any more. It is about living," he was quoted at the time. He also founded the One Laptop per Child non-profit initiative, which aims to provide computers to some of the world's poorest children, and helped create Wired technology magazine in 1992. Negroponte stepped down from his role as director of the Media Lab in 2000, but still serves as its chairman emeritus. The Being Material conference was organised by MIT's Center for Arts Science and Technology (CAST), and took place 21-22 April 2017. Other speakers included fashion designer Hussein Chalayan, artist and filmmaker Lucy McRae, and biologist Christina Agapakis.